Covers all aspects of tuning your SU carburetters or SU fuel pumps. Includes tables of fuel systems application details & jet needle identification. 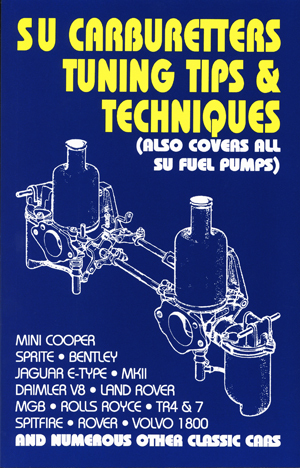 This manual cover whatever kind of SU equipped engine you have, original equipment, or one of the myriad of tuning converts which have fitted this classic versatile carburetter.